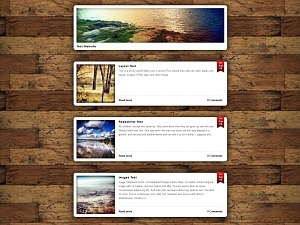 Panels is a totally free WordPress theme with custom header and custom background features, designed by Sarah Kettle. It is clean, fast loading and displays a featured image for each post (200px by 200px) to give a beautifully simple and consistent feel to your website. I spent a while designing the various graphics, so your website won’t appear too cheap looking. You can set this featured image for each post simply by clicking on “Featured image” when editing each post, selecting an image, and then saving the post. The header is 770 pixels wide by 180 pixels high. You can use this theme and the images supplied for whatever purpose you want – personal sites, paid sites, commercial use etc. The website should all be valid XHTML – and has been tested in multiple browsers. The panels theme should be relatively straightforward to use – however if you’re starting from scratch, then here’s a comprehensive guide to setting up your first blog.